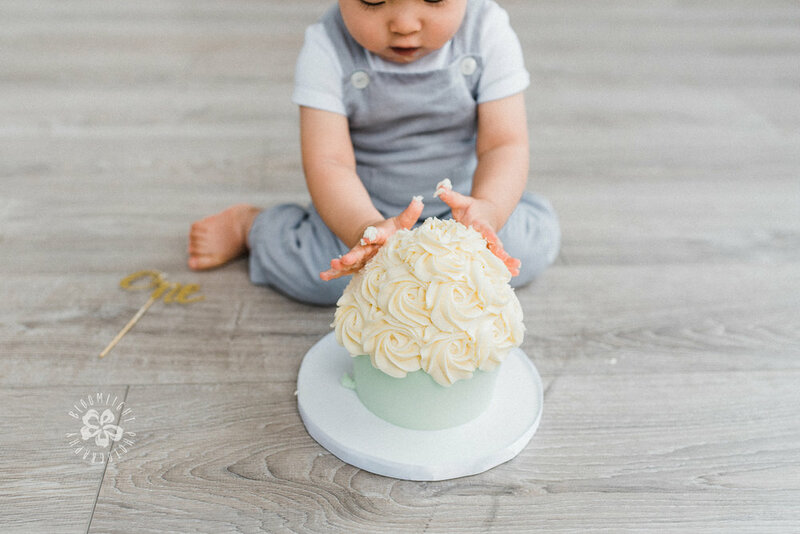 After the phone and email consultation that I had with this mom, we decided to design the cake smash with white balloons and add some soft colors to the cake and giant balloon filled with confetti. 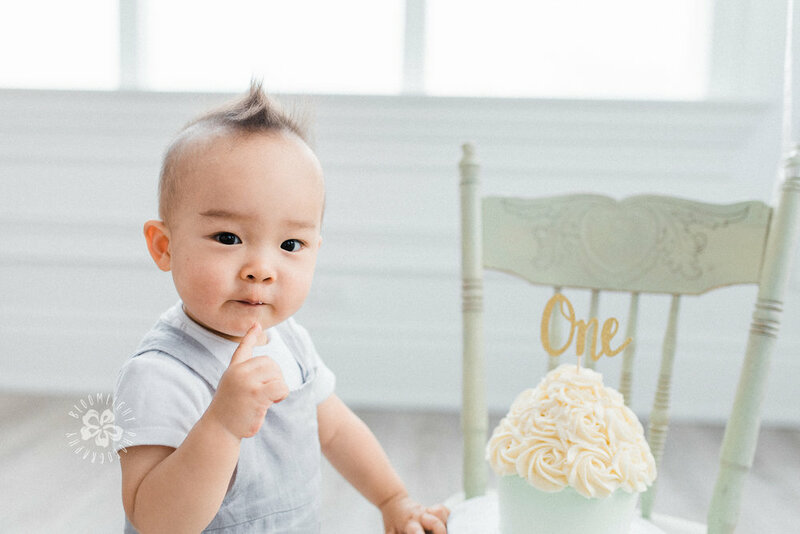 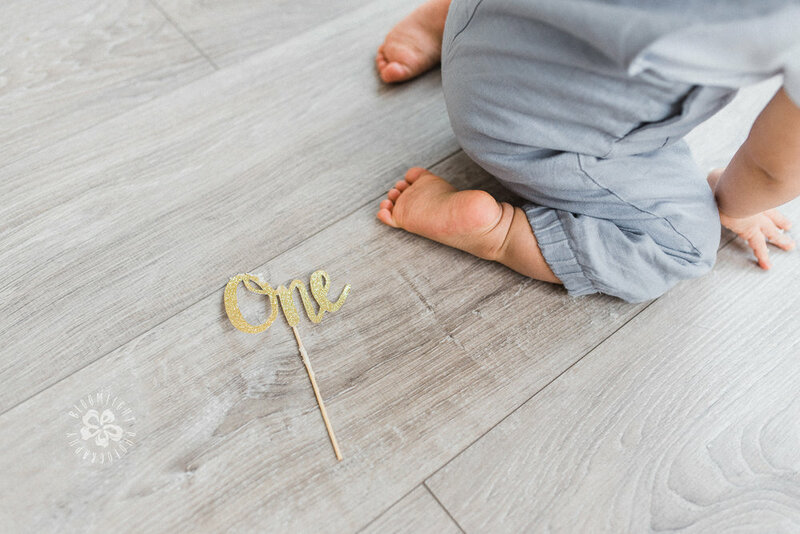 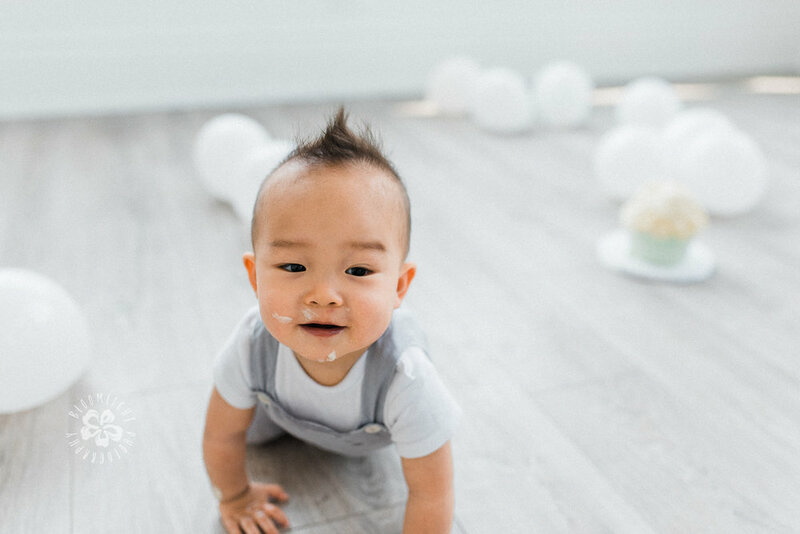 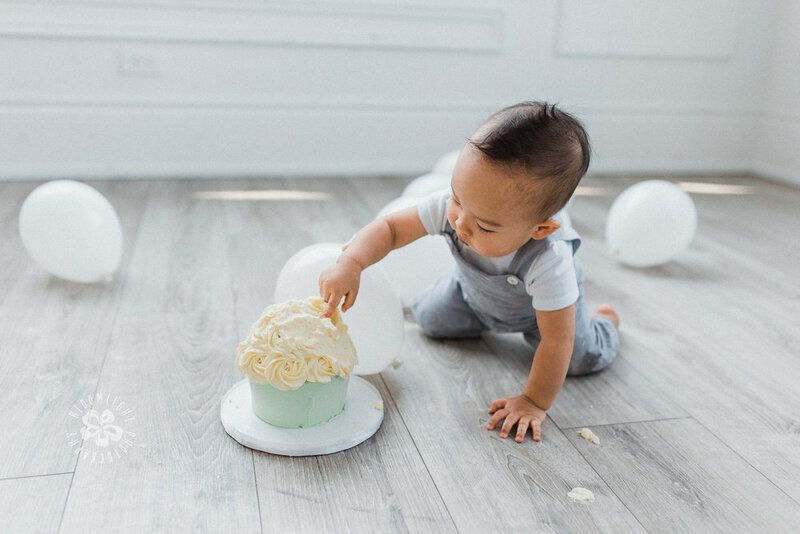 The simple cake smash set up made the scene so clean and with less distraction for the baby boy. 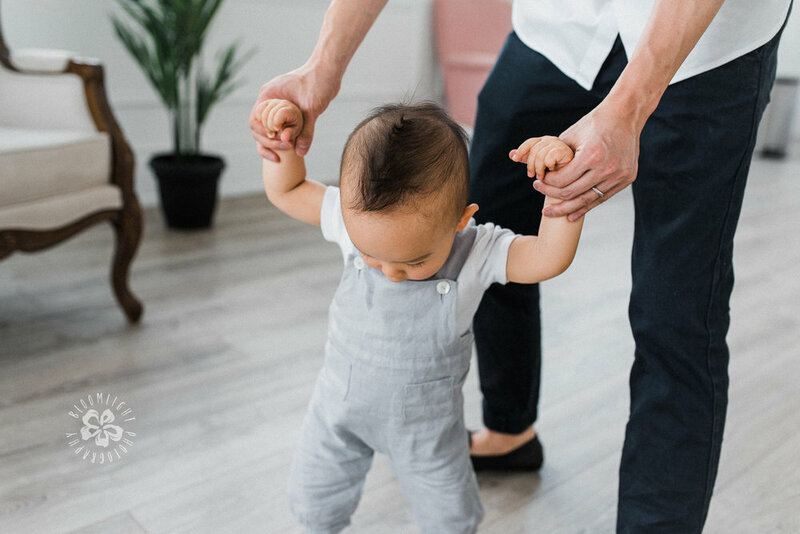 We, of course had some lifestyle and candid photos with the family both in the studio and outside in the park. 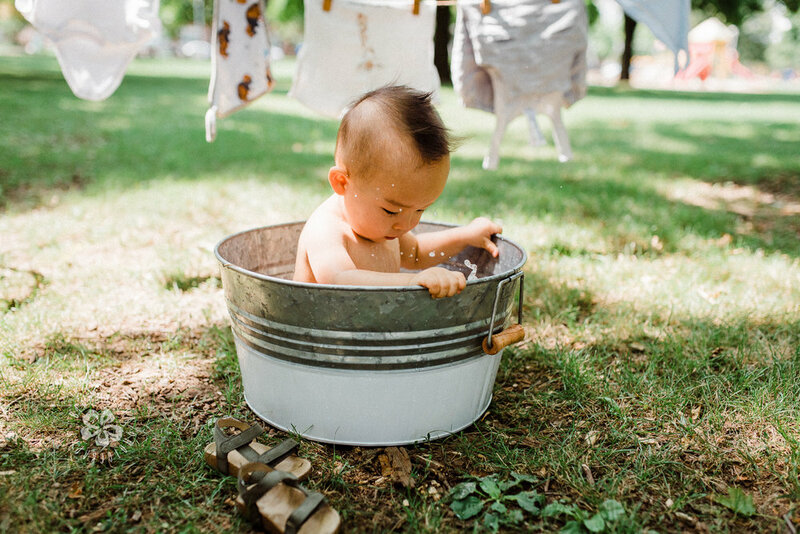 Not forgetting that, the bubble bath in the park was so much fun for the little cute baby boy to be refreshed in the hot summer day.